Keira runs a book review blog for readers by readers on romance novels at Love Romance Passion. She’s been reading romance since she was a teenager and began blogging about romance so she could share her passion for her favorite genre. She loves reading paranormal, Regency, historical America, and highlander most of all and completely adores blind and wounded heroes. She’s celebrating her birthday, so give her some love! My love for historical romances started a little over a decade ago when I found a box of romances in a cabinet in the laundry room. I figured they were hidden back there because I was not suppose to read them so I took just one and carefully closed the doors and raced back to my bedroom where I deposited my treasure under my pillow. 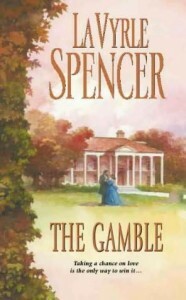 That book was Gamble by LaVryle Spencer. It took place during the Temperance Movement in the United States. I proceeded to read every novel in that cabinet. Some were Harlequin Presents but a majority of them were full length stand alones by LaVryle Spencer and I loved them best. She wrote some contemporary but my true favorites were the ones set in the past. I love romance historicals because of Spencer’s writings, but I did not stay with American historicals. I strayed from American historicals because English historical romances were prevalent and easy to find. They still are today! Go to any book store and you can easily find a Georgian-Victorian period romance. Most of them are Regency, but the three eras are back to back and the transition is not always easily seen. Highlander romance is also very popular right now too and a new favorite of mine. Can you believe that I only started reading them a year ago? I know! Me neither! I’ve read classics like Pride and Prejudice and Wuthering Heights. I’ve a new love for Georgette Heyer romances and the Jane Austen variations that are dominating the market right now. I could go on but simply put: I just love historicals! Why? Three reasons! 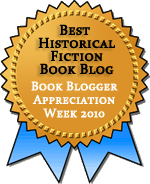 Reason #1 – Historical romance opens a window into the past. I will never live during the time of American expansion to the mid-west, but I can read about it. I will never dance at Almack’s wearing a glittering gown or be presented for a London Season, but I can read about it. Nor will I ever be in a Viking raid, but once again I can read about it and imagine it. Reason #2 – The element of fantasy. Not only are historicals filled with facts and information but they also share an element of fantasy. Contemporary romance rarely holds that same element of pure fantasy though both types of romances must start with the big “what if?” Medieval romances for instance are a natural outgrowth of fairy tales. Variations of Cinderella and Beauty and the Beast are plenteous in historical romance… contemporary too. Reason #3 – The passion exposed under the reserved manners. This is a glorious combination and not something readily found in contemporary romances. Compare the social mores back then to ours today. I love immersing myself in the manners of the past where the smallest touch was worth so much. But enough about me and why I love historical romances! It’s your turn… tell me why you love historical romances! Which type is your favorite? Thank you so much for sharing love of historical romance. I love how you first found them hidden in your house. I can see the advantage to reading historical romances. You’re right about the differences between today and long ago. .-= Literate Housewife´s last blog ..#199 ~ Nefertiti =-. Thanks LH! A perfect example of manners vs passion is P&P by Austen. Mr. Darcy anyone? Swoon. .-= Keira´s last blog ..Why I Read and Review Romance =-. ‘Where the smallest touch was worth so much’ – exactly! I’m an historical romance lover, through and through. For all the reasons you’ve described. The only time I read a contemporary is when one of my friends has written one. Then my normal disinterest evaporates. .-= Julia Smith´s last blog ..I’m blogging at Popculturedivas – where I’ve got some Gerry Butler love going on =-. I’m not big on the romance genre, but I am a fan of HF. What I like about historical romance is that they are sometimes a bit lighter than strict HF but also a bit more serious than contemporary romance. I don’t know if that makes sense to anyone else. And I totally agree with your points 1-3! .-= Beth F´s last blog ..Review: French Milk by Lucy Knisley =-. Julia – Exactly. The only time I really pick up contemporary is if it’s a HQN sheik romance (they’re kinda historical right, lol??? At least it’s kinda fairytale-ish) or if it’s recommended. Beth – Good point on historical romance vs historical fiction vs contemporary. I agree. I like the seriousness of HR vs Contemporary and I like that HR is lighter than HF. I have to have the HEA and romance. I love that you ask questions at the end of your posts. Let me see what is my favorite type of historical romance? I guess fairytales as they are what I read most of right now. My thoughts exactly, love this post! Hi, I want to say hello after reading about your blog on Jennifer’s blog (Literate Housewife)! Don’t forget to join my blog friend’s list at http://jmsmithromanceauthor.blogspot.com/ to read excerpts of my new book, updates about my upcoming book and other goodies.